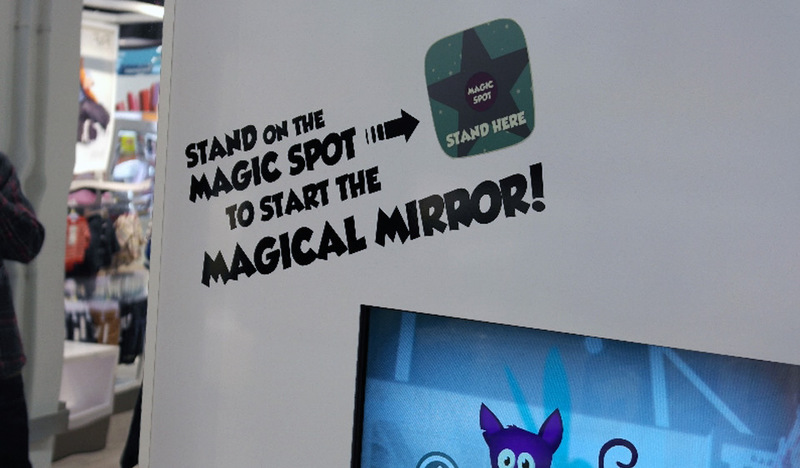 The Tesco F&F Kids StyleMe Mirror uses augmented reality to overlay the customer's video image with pictures of clothing they select using a gesture-based interface. A PrimeSense camera is used to capture images and gestures, and an artificial intelligence engine combines image analytics, recognition software, and augmented-reality capabilities. 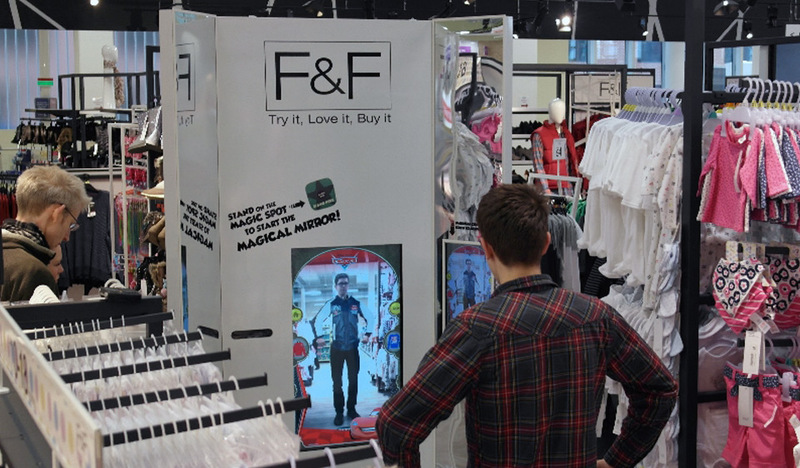 The virtual mirror is designed to drive engagement with the F&F clothing line and allow children to "try on" clothes virtually in a highly engaging and interactive environment. The creative idea behind the user experience was to make a 'Magical Mirror' in which the content changed depending on the item that the child chose to try on. A simple user interface sits over artwork, animation and sound based on five clothing categories which was created and set up to trigger based on a garment matrix. For example, if a child choses the 'fancy dress' category, a castle rampart, a beanstalk and a sign saying 'Beware of the Dragon' would animate into place. Various parts of the graphic elements on the screen were set up as gesture triggerable hotspots - touching the 'beware of the dragon' sign resulted in a dragon animation where the dragon appeared and toasted the top of your head. The interactive display was used by 30% of the footfall traffic in the store and parents were perhaps delighted that the kids were kept entertained. Artwork and animation for the project was created by the most excellent illustrator Matt McKenna.